“You wouldn’t be able to find the house in daytime,” Albert said after he greeted us at the airport. He was standing quietly next to the car that we had just finished to load with our luggage. “I”ll drive ahead,” he added in perfect English, but with a hint of what I assumed was the local accent. 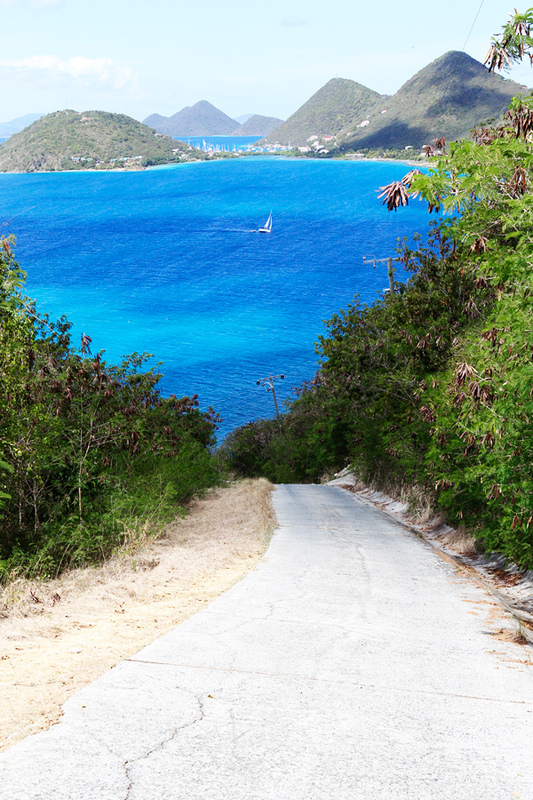 The plan was for him to drive ahead and take us to the house we had rented on the west side of Tortola, the largest island in the British Virgin Islands. I was glad he was here because it was already late in the afternoon. From experience, I remembered that the roads on islands could be fairly unpredictable. “The hill?” I replied hesitantly, unsure I had heard properly. The drive from the airport to the house took a solid hour. We couldn’t see much around us since it was night time but as planned, Persia, the woman Al had told us about, was waiting for us by the side of the road. “Here you are,” Al said after stepping out of his car. We exchanged quick goodbyes; we were keen to continue. As we started to drive slowly behind Persia’s car, I felt as if my heart stopped beating as we took the last turn into the driveway. Not only did I feel tired but now I was becoming worried. Even a bit scared. That turn…the hill…no one had told me about them. I had never seen a road that steep before. But Al was right. From the top, the view was incomparable. Magnificent. All of a sudden, falling in love with that scary hill became almost natural. Whenever we sat on the patio to enjoy breakfast, lunch or dinner, it felt as if we were on top of everything. Lulu, particularly, loved to point at the sailing boats in the distance, or watch pelicans fly close by. It felt as if we could touch at it all. That it was ours. At least it was ours to enjoy. 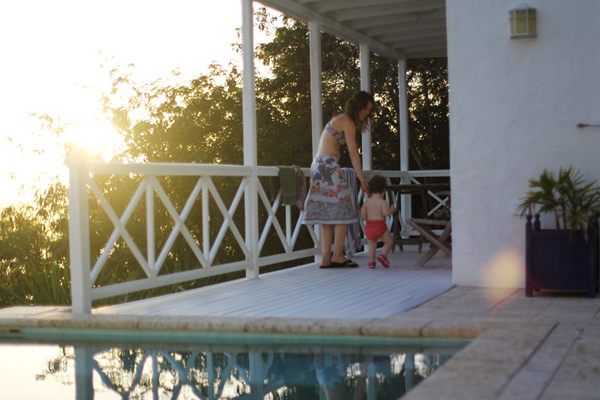 We had one week to embrace Tortola and we arrived without big plans. In fact, the only priority we had was to rest and enjoy family times. Now that Lulu is in our lives, P. and I have obviously learned to travel differently–and right now, this is truly a welcoming change. One that allows us to follow our young girl’s pace. It’s slow. And it’s every bit pleasing. The house felt comfortable and easy–beside the fact that we quickly realized that it wasn’t designed for children whatsoever. I liked that it its layout made us feel we were outside when we were in. 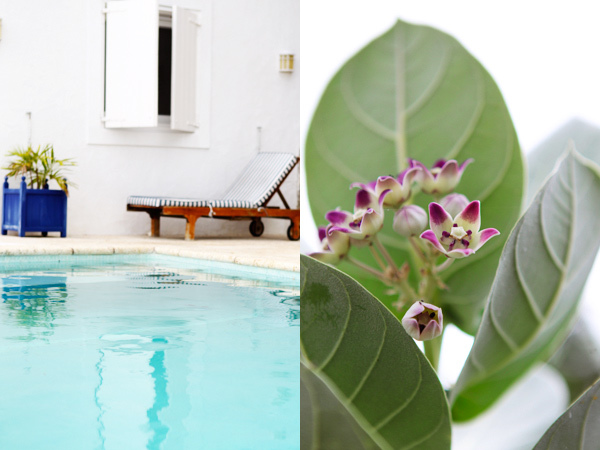 In the middle of the property, there was an inviting pool with long chairs, an area we naturally gravitated towards. We decided that we wouldn’t be traveling big distances on the island. When we weren’t at the house–swimming or reading books by the windows while enjoying the view–we spent a few afternoons at the beach. On the way back, we visited local stores for groceries and to buy fresh fish. 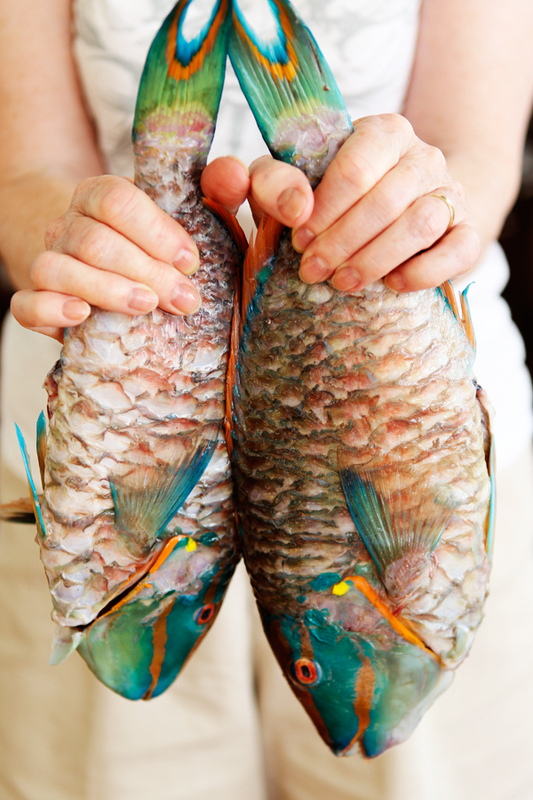 One day, it’s parrot fish and doctor fish we found and decided to grill simply. I could not get over how beautiful, in particular, the parrot fish were. Another time, we came back with sand snappers in our bag. Finding fresh produce was always hard, so when we managed to find locals selling their own produce by the side of the road, we grabbed the opportunity to stop and buy whatever they had. This was how we were introduced to rose plums. And how we enjoyed delicious bananas. I had come prepared. I knew I would want to cook. And bake, no matter what. “Did you bring these muffin cases?” P. asked one morning while pointing at the set of yellow silicone muffin molds carefully lined up on a baking tray, ready to be used. He had a perplexed look on his face that amused me. You never know what a place will be like, right? So with the few utensils I had packed, I managed to bake a few batches of muffins for our morning and afternoon snacks, and one night, I baked these bananas au gratin. It was an idea that popped into my head spontaneously, I remember. We had limes, coconut milk, hazelnut flour (that I’d purposely packed, just in case). The rest followed naturally. And so did the rest of our vacation. By looking at the scenery we woke up to and the one we went to bed with, you too might start to understand why I already miss the view. Even perhaps the hill that managed to haunt my dreams on the first night. Preheat the oven to 400 F. Butter four ramekins and divide the bananas between them; set aside. In a bowl, beat together the egg, egg yolk and sugar until light. Add the coconut milk, lime zest and hazelnut flour. Divide this batter between the ramekins and top each with small pieces of butter. Sprinkle lightly with sugar. Bake the desserts for about 20 minutes, or until the top is golden in color. Serve at room temperature or lukewarm. Préchauffez le four à 200 C. Beurrez quatre ramequins et répartissez-y les bananes; mettez de côté. Dans une jatte, battez l’oeuf, le jaune d’oeuf avec le sucre jusqu’à ce que la préparation soit légère. Ajoutez ensuite le lait de coco, le zeste de citron vert et la poudre de noisettes. Répartissez entre les ramequins et ajoutez quelques noisettes de beurre. Saupoudrez de sucre et enfournez pendant environ 20 minutes, ou jusqu’à ce que le dessus des gratins soit doré. Servez à température ambiante, ou tiède. Your post was a pleasure and a treat to read. I need an address to get to this place. You need to share how we can get there. 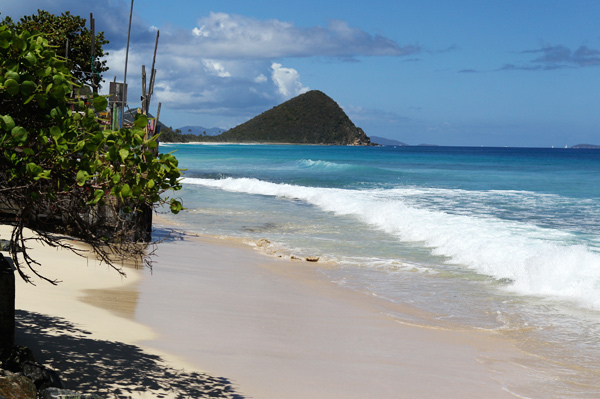 My mother went to the Island of Tortola a few years ago and didn’t like it. She left the Island the same day. I have no idea what she was looking at cause it looks beautiful. Wow ! Stunning pictures, Bea. J’aime particulièrement celle des 3 fenêtres, et celle de Lulu au balcon- comment résister ? J’avais adoré mon séjour aux BVI et tu as vraiment su capturer la beauté du lieu ! Amazing place, and you make it really your own, the pictures are so nice. I can’t believe you’ve packed muffin molds with you. I chuckled. A truly beautiful post, and what a lovely way of enjoying bananas. Thank you for sharing! Your images are magnificent. A dream location. 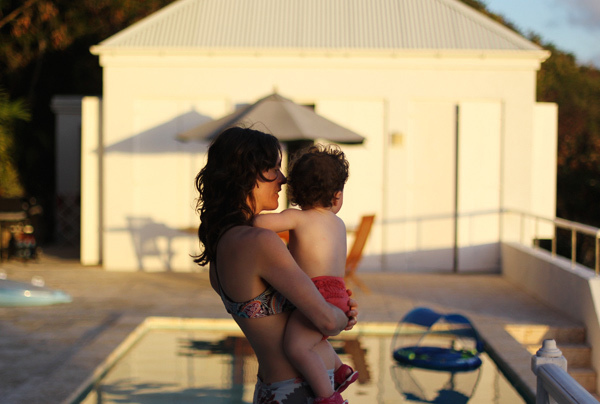 Oh I adored this post – your photographs are amazing and I just want to go away on holidays! This put a smile on my face on an otherwise uneventful work day. These photos are incredible! It looks like you had an amazing time! cute baby and lovely fruits! What a beautiful place!! So dreamy. Wish I could just sink into the photos. 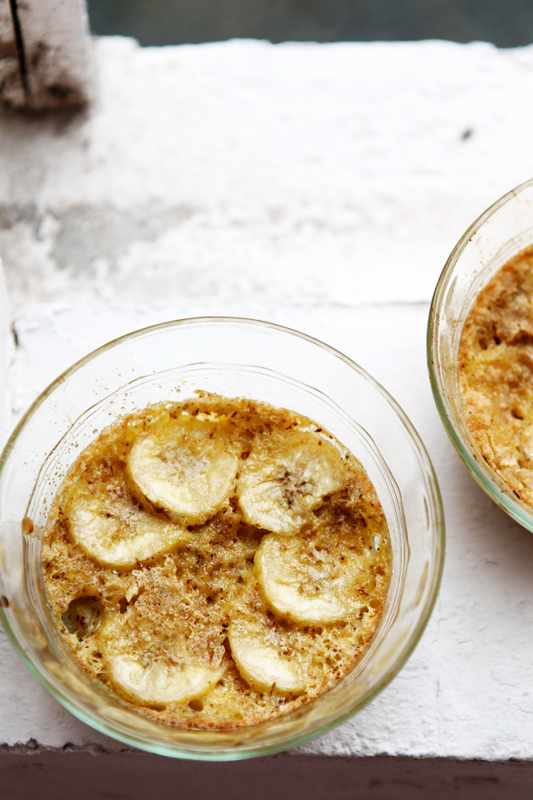 The banana gratin also looks simply amazing. Thanks so much! Simply the most beautiful blog post I’ve seen. Those parrot fish are something out of a dream world. Thanks so very much for sharing. So colourful and refreshing ! And these fishes ! Etaient-ils bons ? What dreamy photos! What a way to pull a new reader in! I’ll definitely be back for more . . . 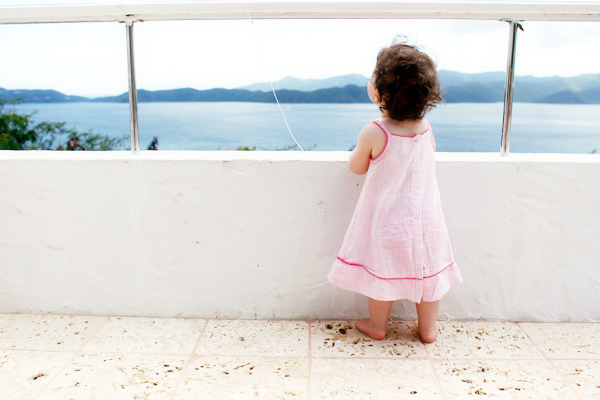 Your photos are so inviting!…And little Lulu is so adorable in her pink dress!…Thank you very much for sharing one more beautiful experience with us! Je viens de faire un merveilleux voyages dans les îles vierge, quel somptueux album de vacances! 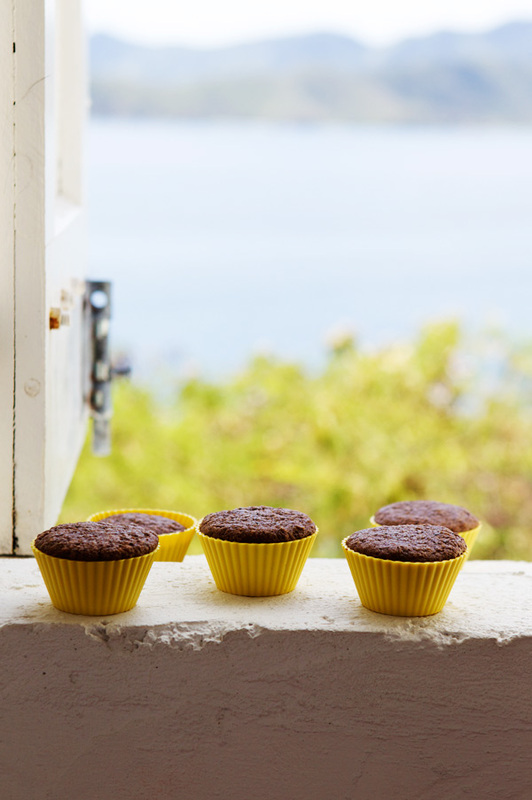 Et j’en reviens pas, tu emmènes tes moules à muffins en vacances¨!!! OMG…that place looks like paradise to me! Those rose plums look so delicious! My favorite photo is the one of your Lulu looking into the horizon over the ocean with her back towards the camera..so breathtaking! La superbe émission “Envoyé Spécial” t’as mise en lumière et en image face à la caméra pour te révéler aux télespectateurs Français et aux passionnés de ton blog que nous sommes. J’en fait partie, et il faut sincèrement te remercier pour cette passion de la cuisine et de la photographie que tu partages régulièrement avec nous à travers ton blog. Des posts toujours aussi beaux les uns que les autres…Impossible de se lasser, on a toujours envie de revenir! L’incroyable mise en scène des plats, l’instant parfait des prises de vue, la qualité des articles donnent le ton et ton style bien à toi… Et si parfait! Ne change rien. Moi j’ai toujours envie de connaître la suite, savoir ce que tu vas nous raconter! Une histoire, un moment, une sensation de Bonheur! Je n’ai qu’un mot : continues! Fais nous encore rêver aussi longtemps que possible car chaque instant passé ici n’est que luxe, calme et volupté! Une agréable pause de douceur à des milliers de kilomètres, loin de mes montagnes, chez moi en Savoie. oh my!! as Steve said “I’ve began saving” too..
can you, please, share the address of this house you’ve been, and some more details in how to get there? On se croirait presque en vacances! Merci pour le dépaysement et la gourmandise! C’est tellement beau, tout est parfait, je reste sans voix. Bravo et merci. 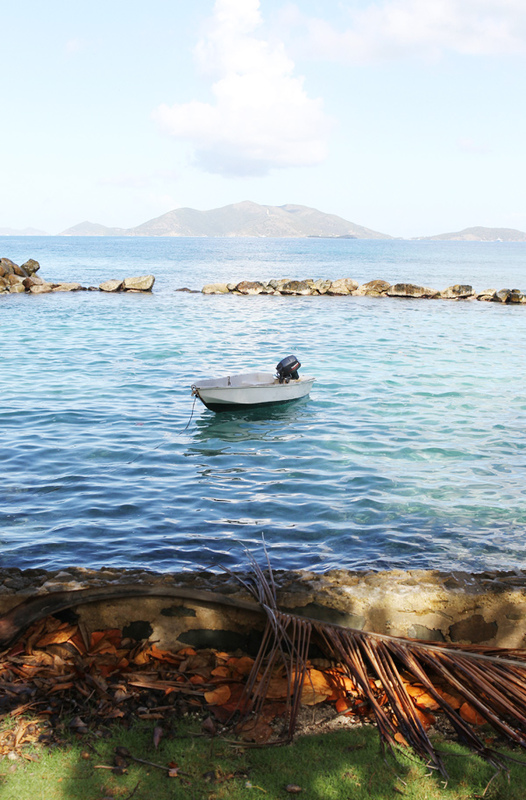 Ton site est une merveille à lire, un rayon de soleil au quotidien…Je viens de faire un joli voyage sur l’île de Tortola sur laquelle j’ai passé une journée il y a quelques années, pendant une croisière, et je n’ai qu’une envie, y retourner! 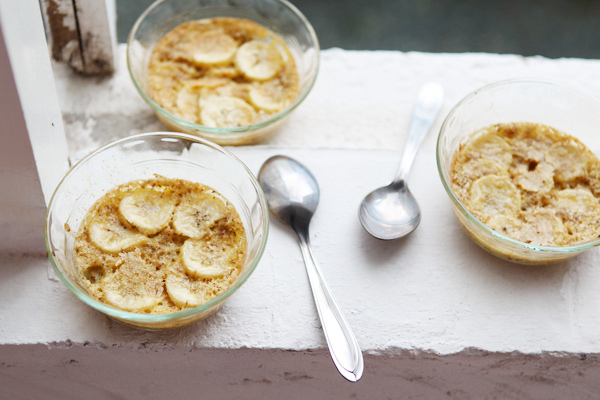 Et ce gratin de bananes me fait envie!! Ce blog est mon préféré et je le savoure avec bonheur depuis un bon moment sans oser commenter . Merci pour toutes ces photos qui font rêver que ce soient celles de Tortola que de ces nombreuses gourmandises. J’ai enfin trouvé, avec juste le souvenir, après ‘envoyé spécial”, du mot tartine dans le titre !!! Et pas déçue ….Je ne suis pas sûre que tu sois bien consciente de tout le bonheur que tu nous donnes par tes post. Me voilà nouvelle abonnée. Ho c’est magnifique, je suis nouvelle abonnée chez toi suite à l’émission envoyé spécial, mon seul petit hic c’est que je ne parle pas “English” oui je sais c’est nul je me le dis souvent …. Où se trouve exactement cet endroit merveilleux ???? Tes photos sont une invitation. Y a t-il un moyen d’avoir en “French” les recettes ???? those rose plums, the view from the kitchen, those windows and the parrot fish… wow.. amazing vibrant colors. what a beautiful vacation that must have been Bea. I’m just speechless…. These images are breathtaking! those rose plums remind me of home (Hawaii)…this is a very beautiful place Bea! Thanks for sharing. The parrot fish is beautiful! He kind of looks like a pineapple with those big scales. I bet he was delicious too though. And the view from the kitchen looks stunning. What a nice place to cook. Thanks for sharing your photos. Les photos sont superbes. Merci de partager cette beauté avec nous. La recette à l’air vraiment délicieuse. Je l’essai cette semaine. Ooooh, rose plums!! 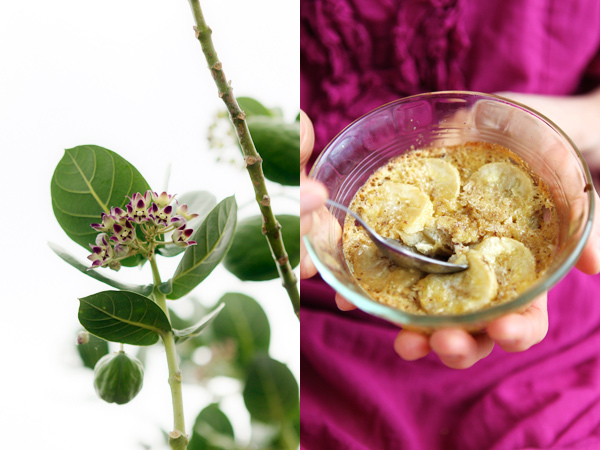 I grew up eating those in Indonesia—perfect to quench your thirst on a hot day. What a perfect way to spend a holiday week, Bea! 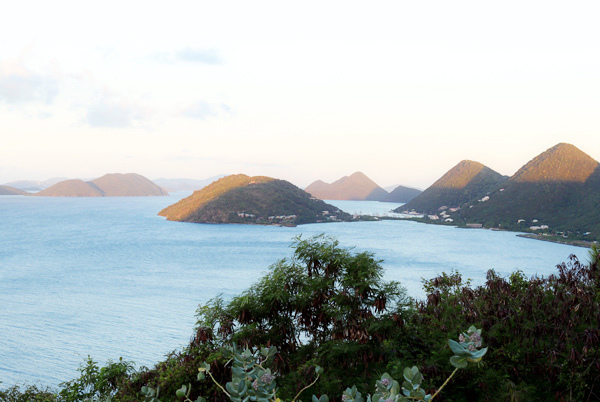 No agenda, exploring the island at your own leisure, not to mention that beautiful house perched atop that steep hill. What will I give to be there! Tellement inspirant. Merci pour ce récit! You consistently provide me a spiritual release, Bea. A moment to commune with nature through your beautiful day… and in this case, holiday. You are blessed, and you take the time to appreciate all of the little things that are a part of that blessing. Magnifique! So nice the photo of you and Lulu..I love them all..
Just divine, truly a transporting experience to read. Please, please let us know what camera you use! If only I could take photos half as good, I would be happy. The parrot fish are very unique, how did they taste? Gorgeous scenery, how did you find this rental, amazing views! What a beautiful place! Thank you for sharing your photos and experiences. Great pics and holiday Bea. The Rose Plum.. I never knew they were called that. 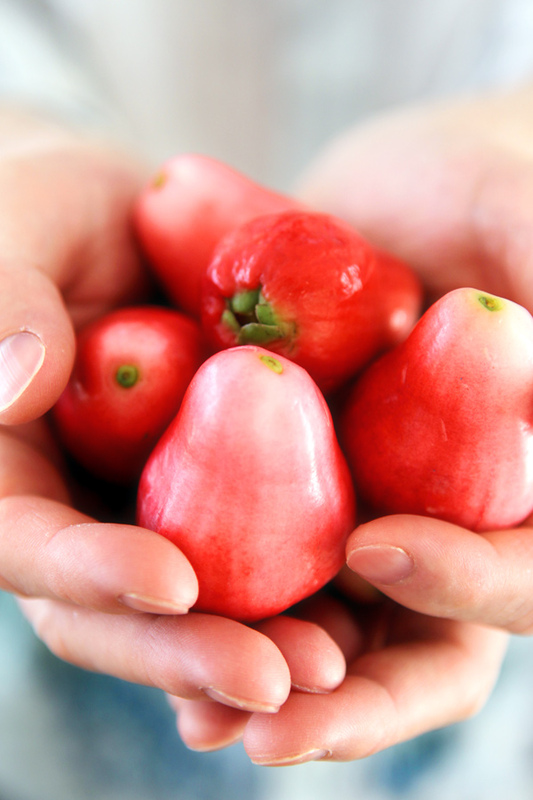 We call it water jambu here in Malaysia and they are juicy, “crunchy” and refreshing.. the ones we have here are bigger and more red (redder). Great place! The 2 parrot fishes are really something, aren’t they? This is such a beautiful post! Stunning photography. Lovely memories. Thanks so much for sharing your holiday with us. Thank you everyone for your comments. It was a truly fun vacation, I must say. I already miss it. I rented the house via a place called CarribeanDays. They have all sorts of options, and prices too! As to the parrot fish, they tasted excellent. Very firm flesh, somehow reminding me of snapper, as a matter of fact! As to my camera, I used the Canon 1D Mark 4 for these shots. La recette est traduite. Cherche “Le coin français”. 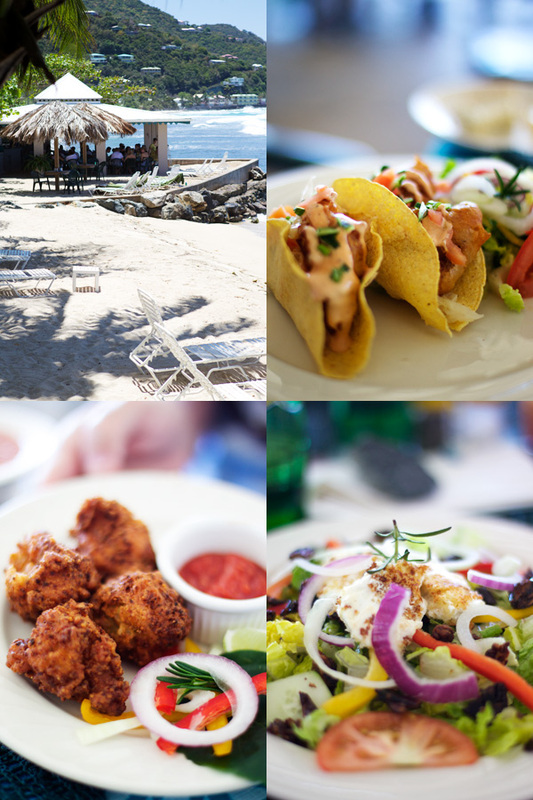 these photos make me miss the Caribbean so much! so vibrant & gorgeous!! Loved this post Bea!!! 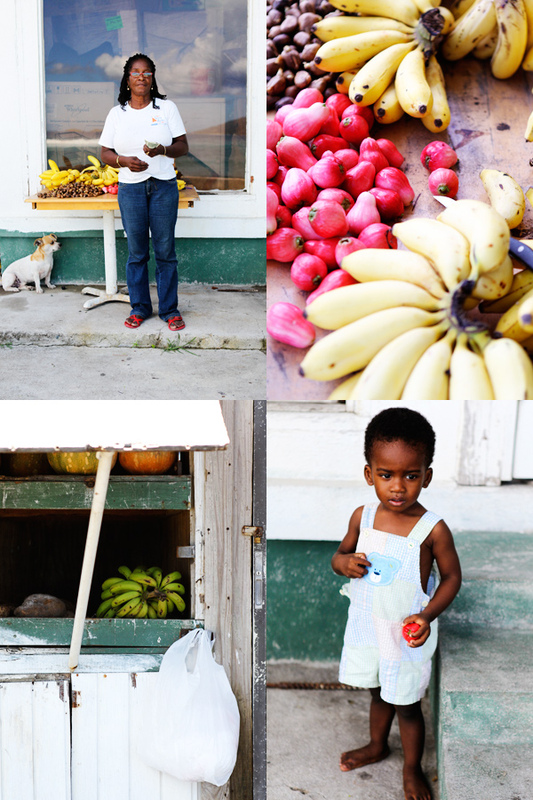 Makes me miss Trinidad where I am from….and the rose plums, one of my favs…I can just taste them now. My relatives lived there for years and I didn’t visit. Better late than never! Glad you enjoyed your time with the family…thanks for sharing! The photos are GORGEOUS today. I am loving them. It makes me want to check the prices of such a vacation… I think the British Virgin Islands are going on my list of potential vacation spots. Also, Lulu is too adorable! Such a sweet little girl. And I love that you brought flour and muffin tins to your vacation. I have done the exact same thing! You can never be too careful with a rental house – often whoever you’re renting from doesn’t have the, ahem, same dedication to cooking as we do. I think it’s wonderful that you cooking is a joy, a thing you still want to do on vacation, rather than a chore, as some other people would view it. these are so beautiful! i especially love the photo with the doors. thanks for the lovely post! Oh my, what an amazing vacation! Your photos and words transported me there. Gorgeous! Bea, this is potentially award winning stuff! I loved the colour sequencing of the photographs. I spied sweet potatoes on the kitchen counter, can we expect a new yummy recipe? Wow, that looks amazing! Nice little morning break, thank you. Je ne sais si les mots suffisent pour cet instant de dépaysement total, d’un beauté (bleutée 😉 à couper le souffle, d’une douceur, le regard de ta fille dans le vent…. Merci pour ce reportage, tu nous a trasportés au loin (pas seulement géographiquement). J’adore ces poissons, ils étaient bons? You are so funny! You travel with hazelnut flour! It’s something I would do! During a recent trip to the Florida Keys, I made cinnamon rolls from scratch and started the evening before we enjoyed them for breakfast. They were amazing and so much better than store-bought and much appreciated by my family. Your pictures are so beautiful and you inspire me to improve mine! this post is absolutely stunning!!! the colors and coolness freshened up this very hot day in new england! honestly bea such a gorgeous vacation! I am going to keep this post open in my browser for a couple of days – it feeds the soul. Thank you so much for sharing the beauty and wonder, Bea, it is pure MAGIC! 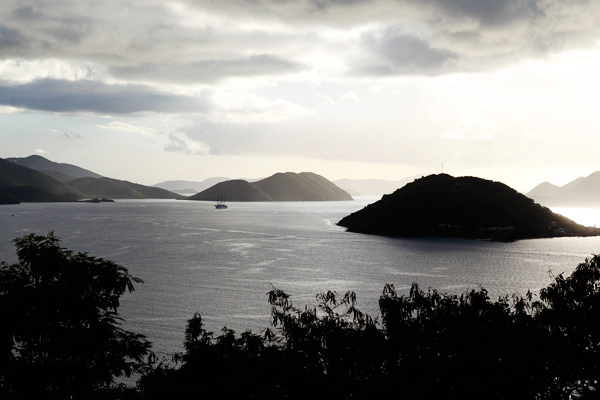 We visited Tortola a few years ago, and I have several photos that are nearly identical to yours. It is truly my favorite vacation spot in the world. The views are stupendous, the beaches amazing, and the people are incredible. We loved every moment we spent there. Paradise! But I wanted to keep it a secret! Chouette, voici une bonne recette de dessert simple pour ce soir (mes parents visitent et comme mon papounet ne peut pas se passer de dessert, il faut que je suive…). Superbes photos, comme d’habitude. Les poissons perroquets sont magnifiques et delicieux, ça fait une éternité que je n’en ai pas mangé. Take my breathe away. Your pictures are just stunning. Wow. Thank you for this beautiful post. 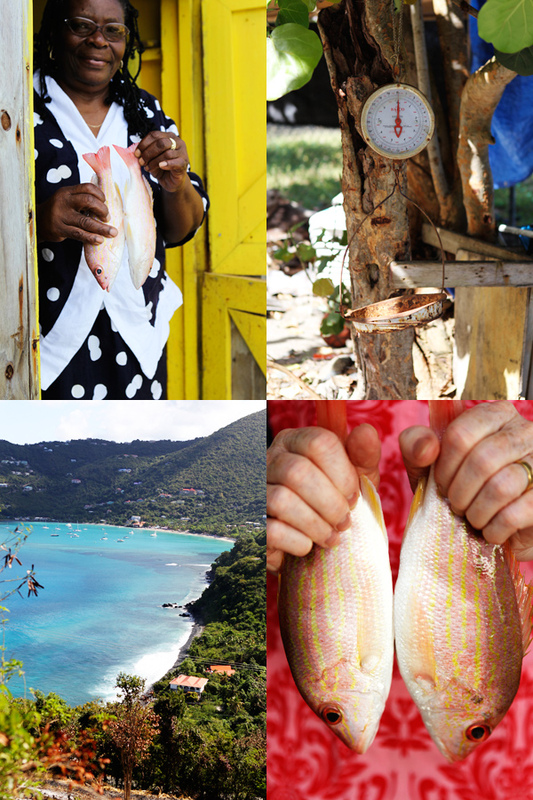 Superbes photos, cela me rappelle la Guadeloupe (ainsi que le bon poisson et les pommes malakas); ça fait du bien les bonnes vacances sous le soleil de la Caraibe. Il faudra bien que j’essaie cette recette tres bientot. Oh la la, ce billet est un régal! Merci pour le partage et les quelques minutes de vacances qu’il permet! what beautiful photos! i even searched for the place in order to arrange vacations there some time. i must tell you, you are an inspiration to me! What wonderful pictures! I think we all fell in love with the scenery although we weren’t there… But maybe one day we will be lucky enough to enjoy it too! This post is as beautiful and inspiration as ever. Thank you. Rose plums I know as manzanas de agua, or water apples, as they’re called here in Costa Rica. I love thinking of them now as “rose plums” though, because I remember telling my husband that the 1st time I tried them that they tasted like I’d imagined a rose would taste. So pretty. I can’t wait until they’re in season here again! Thanks again! The name of the house is Eternity. Does it get more beautiful than that??? You’re right the hill looks scary, but sooo worth it! 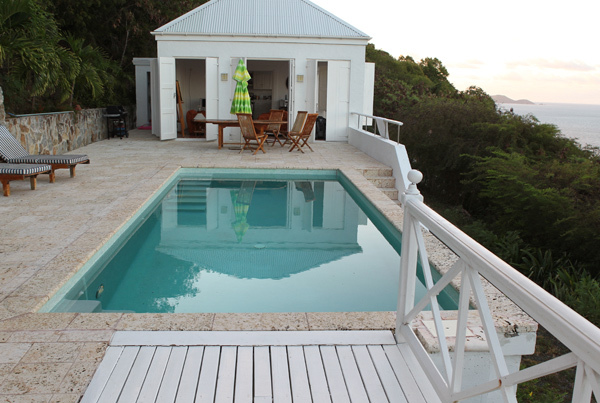 The pool, the view, the food, the house, all too enticing. I haven’t been on vacation in a long time and this made me feel like I was there for a split second. The Parrot Fish are gorgeous. I know you deserved this-every minute of it. I’m pretty sure this is now my favorite blog post of yours! absolutely breathtaking and makes u appreciate the simple beauty of nature. thank you for sharing us your vacation! Absolutely beautiful. And the fact that you were able to bring your own essence to the place made it yours forever. I look forward to your book. So glad you had a lovely holiday. The place looks dreamy and your photos are gorgeous! All the vibrant colours and exotic products… Beautiful. What a stunning view and a fabulous house. You took us through it with such grace and easy. 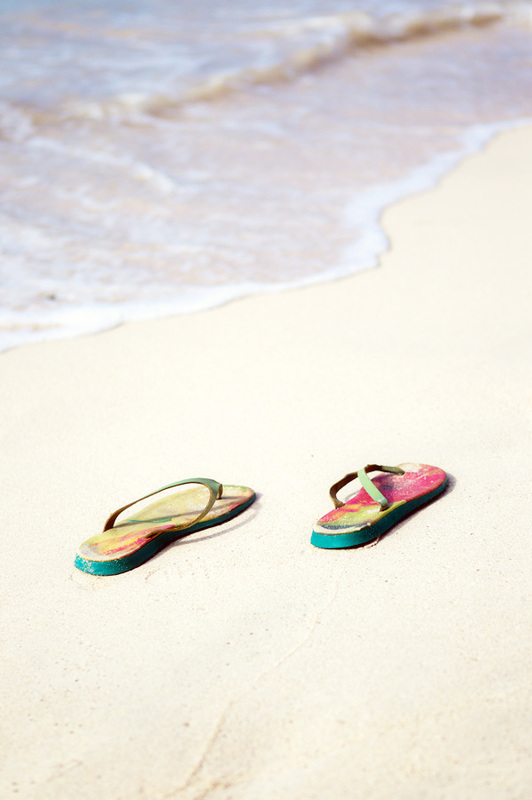 I couldn’t help but smile when you said “Lazy Days.” That was the name we gave our house when we lived in Abaco for ten years in the northern Bahamas. What a beautiful island. Love, love, love the pictures! What a beautiful semblance!!! I admit your pictures are stunning colored and sharp. What is your camera and lens? Can you give us more detail about them?I actually need to get sharp lenses like yours. This brings back wonderful memories for me, it’s so lovely to see your beautiful photos of a place that I enjoyed so much. I was fortunate enough to spend eight months living on Tortola in 2001/2002, it stills comes back to me in my dreams occasionally, and in my thoughts often. stunning, I felt like I just saw a glimpse of heaven. Thank you for sharing this piece of paradise with us. you are so freaking beyond fabulous! I love all the fish pictures! Is that odd? I especially love the parrot fish! (I had never heard of this before!) Thanks for sharing. Does it get more gorgeous than this? I close my eyes and I still see the photos and feel like I am there. these are gorgeous! you take such great photographs. Amazing post, with stunning pictures too. Thanks for sharing. What an inspiring post – amazing photos & beautiful narration! I just returned from a little break to the east coast of Tasmania – remember the Friendly Beaches? I was determined to go there after reading your blog post from a few years ago. It is as beautiful as your photos captured. Holidays are so refreshing. Looking forward to enjoying your spring while we slip into winter here in Australia. Beautiful pictures . Just curious why you use chestnut flour so frequently ? is it more nutritious ? or just tastier ? also where do you find it in Boston ? Kate, I keep such fond memories of Tasmania. Did you see that I also wrote about it here? Vrinda, I am not using chestnut flour but hazelnut flour. I love nuts of all kinds, particularly hazelnut, which definitely makes baked goods moist. Tasty. You can make your own by simply grinding whole hazelnut finely. Or I buy mine at Whole Foods in Boston. Hope that helps. colors of the pictures are incredible! 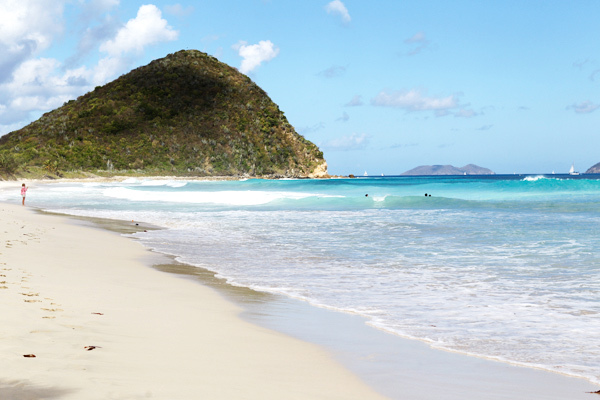 I am staying at Frenchmans (which you’ve captured in one of your pics) in the West End of Tortola for my honeymoon in July. Your pictures are gorgeous! Can’t wait to experience it for myself. I certainly did read your Tassie post – about a year ago. I even tried to rent the same beach house it looked so good – unfortunately it was booked out! I Hopefully you can come visit Australia one day again soon. I am sure Lulu would love it! Nouvelle venue sur ce blog (suite à l’émission Envoyé spécial la suite). Vos photos sont vraiment magnifiques (pas encore testé une de vos recettes). 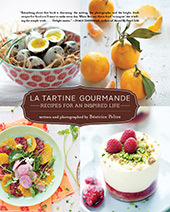 C’est un plaisir de lire/voir une de vos recettes. Merci. Bonne chance pour votre livre. oh bea, c’est tellement beau! J’en ai le souffle coupe. Un grand merci pour ces photos de loin, du bout du monde, qui mettent un peu de reve dans ma journee de boulot. WOW.. What a pleasure to read and visualize. I went to Tortola many years ago. It didn’t seem to change much from your wonderful photo’s.. 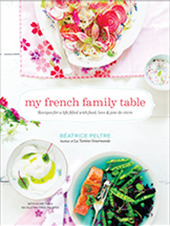 Your recipes.. can’t wait to try!!!!!!! I think we call it HEAVEN! Wow, wow, and wow. Fantastic–all of it! your pictures are breathtaking! i think the parrot fish is the most interesting looking edible fish i have seen! im going to be staying on a sailboat in and around tortola with friends who love fresh, simple food and was hoping you could share some of the spots you found for fish, local groceries, etc. i want to emulate your bananas au gratin on the boat! Beautiful pictures as always. That place looks dreamy… and the rose plums, that is known as “water apple” where I come from (Philippines). There’s a closely related specie that’s called “malay apple” which comes from the same family. Stunning holiday photos………Having just returned from Barbados, I can imagine the heat, the warmth and the laughter. Oh boy, I so want a DSLR! In Nigeria, we call the rosy pink, refreshing apples water apples too! What a beautiful place it is!! And Lulu has grown so much! Wow! 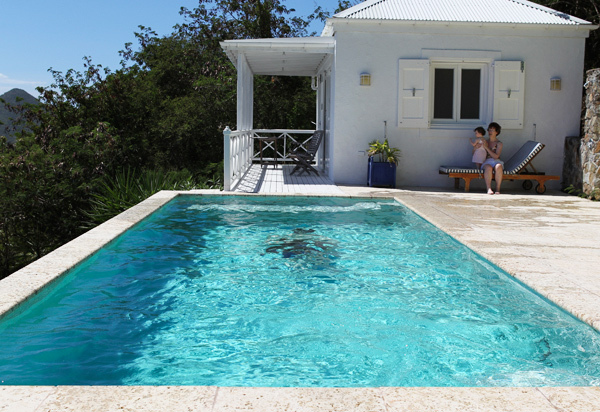 what a beautiful place, and beach and pool and house and kitchen. Everything looks so beautiful and clean. Water and beach looks so warm. I can just live there and jump in it every day….. I am so very very jealous! you actually pack cooking stuff with you on a vacation. You are a true chef and P. is an angle not to say anything about packing molds. hugs to all 3 of you. I am your fellow daily in your absolutly stunning blog. Would you please send to me and my husband the telf number or web site of the rented villa you stayed in Tortola¿Thanks from my country, Venezuela. a Big Big kiss for Lulu. Oh la la c’est fabuleuuu..la villa, les muffins la tortola. les photos et tout..!! Merci d’avoir partagé tout ça avec nous…thank u! those parrot fish! that view! and packing cooking gear…your the best! You are an amazing chef and an amazing photographer. 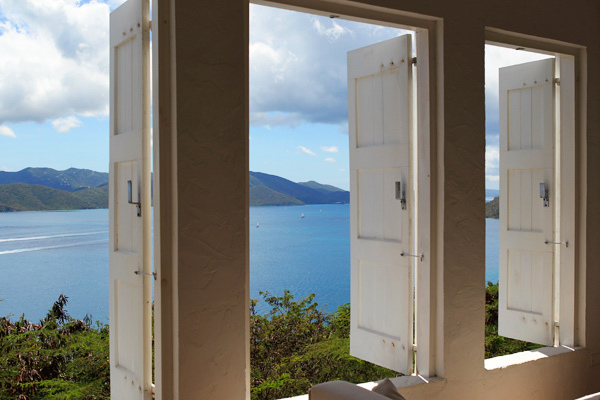 How can my family and I rent the same house on Tortola this coming winter? So glad you enjoyed your visit to our island! You do get used to the hills…eventually. I found you on pinterest, I was searching healthy snacks and your blog popped up. 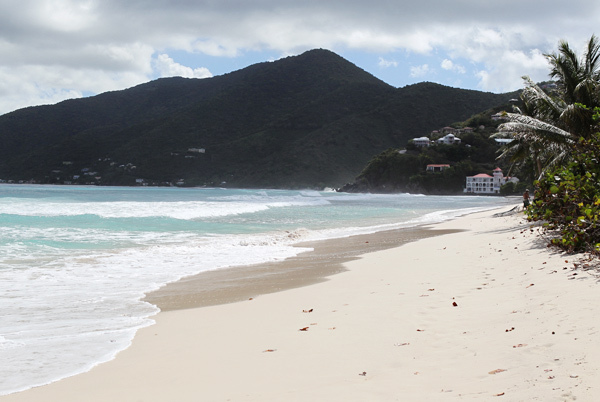 I live on Tortola (little Apple Bay) off and on for the past 15 years! 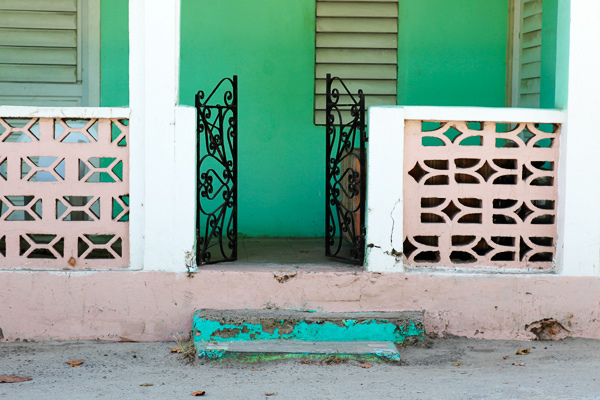 I’ve been following your blog for years, and since this post, I’ve been thinking that one day I’ll go to Tortola!… ce jour pourrait arriver bientot, et je me demandais si tu aurais la gentillesse de partager les coordonnees de cette superbe maison? 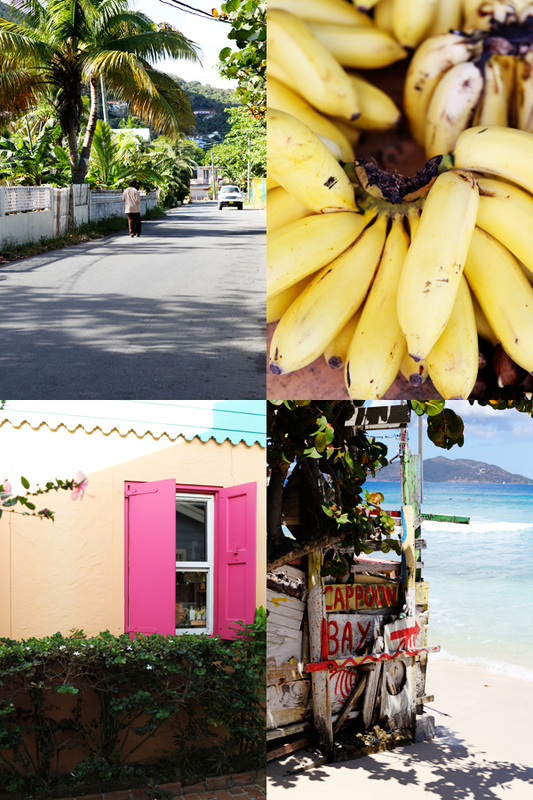 I’ve been following your blog for years, and ever since this post, I’ve known I’d go to Tortola. Le jour est peut-etre arrive, et je me demandais si tu aurais la gentillesse de partager les coordonnees de cette superbe maison? 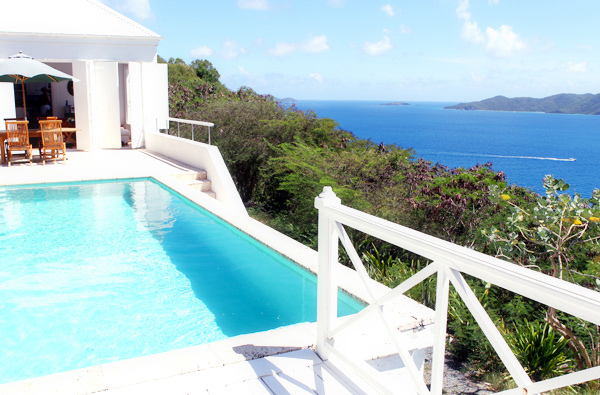 Hi Béa, looking for a holiday house on Tortola, I found your picture on Pinterest. Would you be so kind to tell me how we can find this beautiful holiday house?